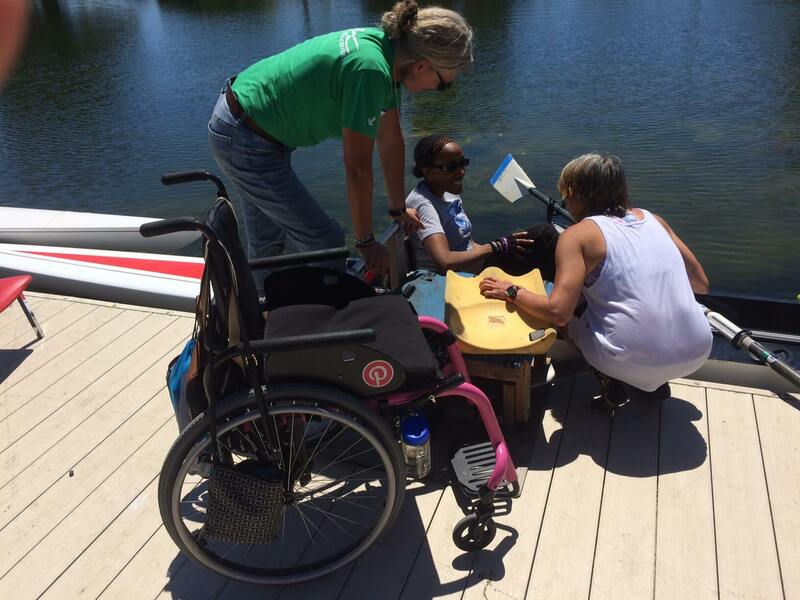 On Saturday, June 17th BORP launched what we hope will become a regular activity – Adaptive Rowing. 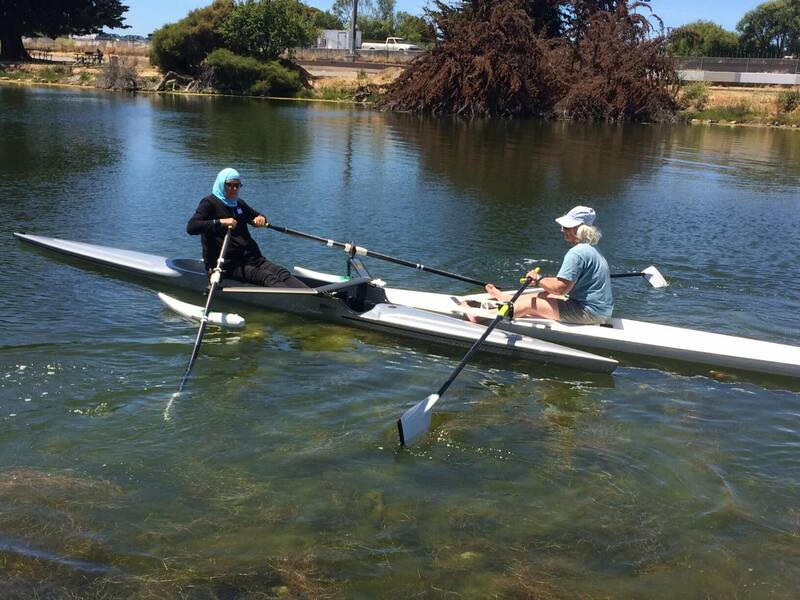 Partnering with the Bair Island Aquatic Center (BIAC), the Berkeley Paddling & Rowing Club, and Oakland Strokes, BORP offered an ‘Open House’ to individuals interested in trying rowing. 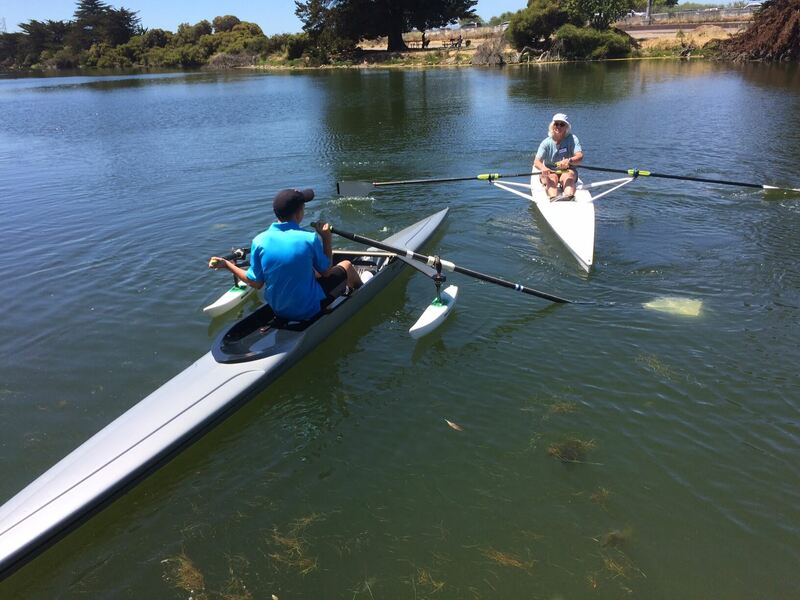 Over twenty individuals, with assistance and instruction from experienced volunteers, were introduced to rowing, first learning some basic rowing mechanics on land-based ergs before venturing into boats on Aquatic Park. On hand to help were two former Olympic rowers, Charles Alterkruse (1980 & 1988 Olympics) and Liz Miles (1984 Olympics). Our plan now is to train several Lead Volunteers who can staff regular rowing sessions beginning sometime in August. Stay tuned for more rowing opportunities. 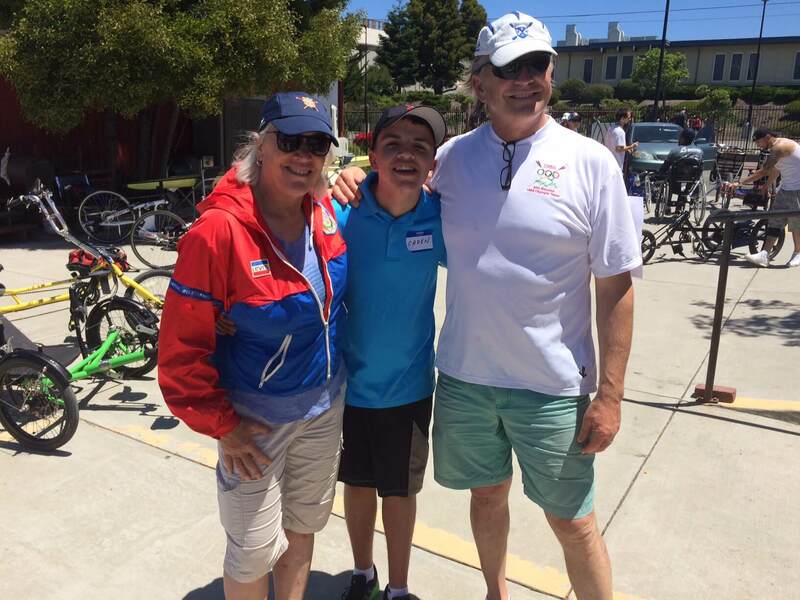 All smiles after learning to row, a young BORP participant poses with two former Olympic rowers, Charles Alterkruse (1980 & 1988 Olympics) and Liz Miles (1984 Olympics). 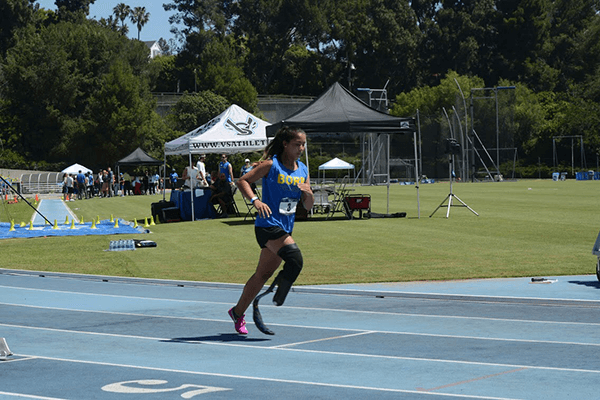 The 2017 Angel City Games were held June 22-25 in Los Angeles at the beautiful campus of UCLA. 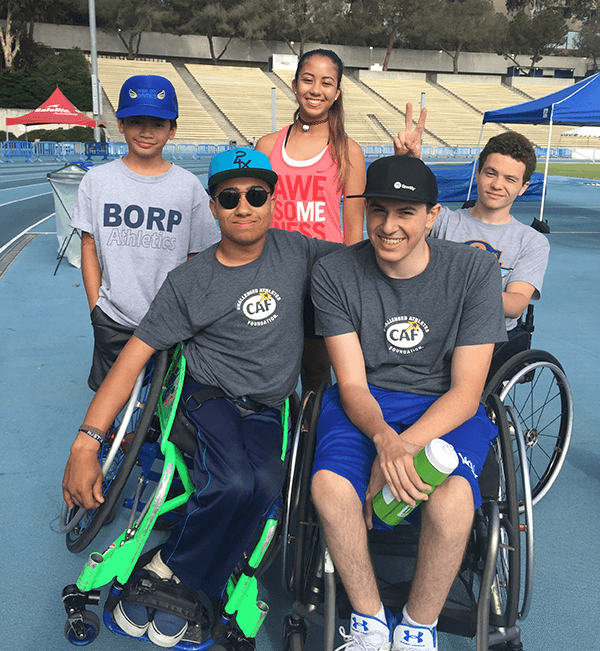 Several BORP athletes went down to compete in the event, which combined sport-specific clinics and competitions throughout the weekend. 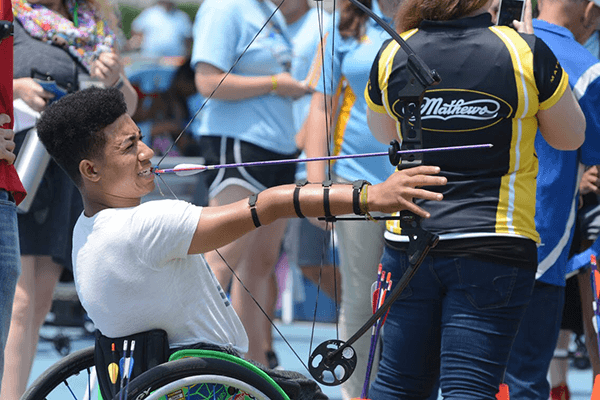 All sports are Paralympic sports and include opportunities for athletes with physical disabilities or visual impairments to participate. 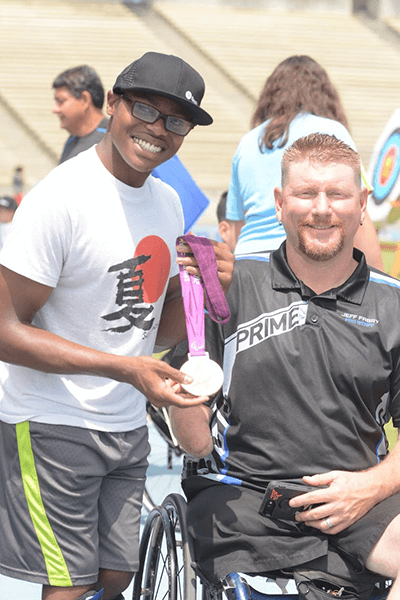 The weekend kicked off with an Archery clinic on Drake Field with Paralympic Gold Medalist, Jeff Fabry providing instruction. 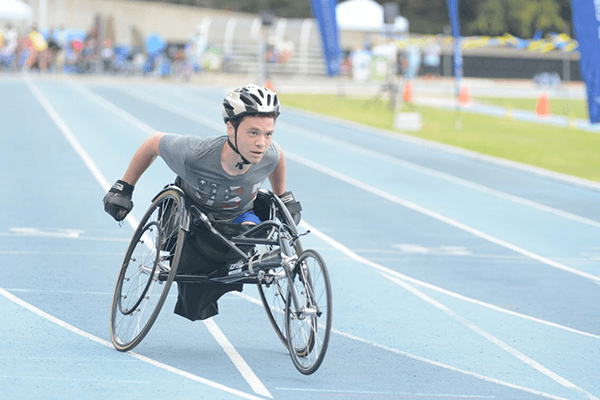 Additional clinics through the weekend included wheelchair basketball, tennis, swimming, track & field, and a fun zone. As part of the event, there was a 3-on-3 wheelchair basketball tournament including teams of players from around the country. 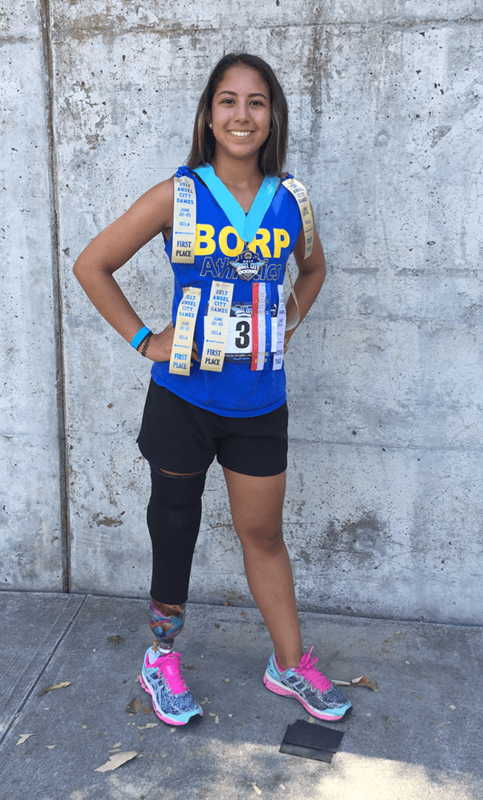 BORP entered a team which included me and any kids that were not in sports clinics at the time of the games. The kids played incredibly well and advanced to the semi-finals before being knocked out. What was so impressive was that the kids were playing against adult players and outplaying them. The kids also played in a game against kids from southern CA in the annual Jr.’s game. The Jr. Road Warriors struggled early but got on track when Ella and Isaiah started running the pick & roll to perfection. There was a Celebrity Wheelchair Basketball Game with local celebrities playing in wheelchairs. It was the 3rd annual event and as always, it was a blast. On the track, Ella, Zach, and Isaiah tore it up. Isaiah raced for a personal best in the 200M. Zach was 5th in the 60M, and 4th in the 100 and first in the shot put. He also competed in the long jump. Ella was the queen of the track. She was 1st in the 60M, 2nd in the 100M, 1st in the 200M, 1st in Discus, 1st in Shot Put, and set a National Record in Javelin. All that and her best sport is still basketball! The kids had an absolute blast and I believe Eyan personally met every single person that attended. He even got up on stage and led some of the workout activities. This was absolutely the best Angel City Games so far. 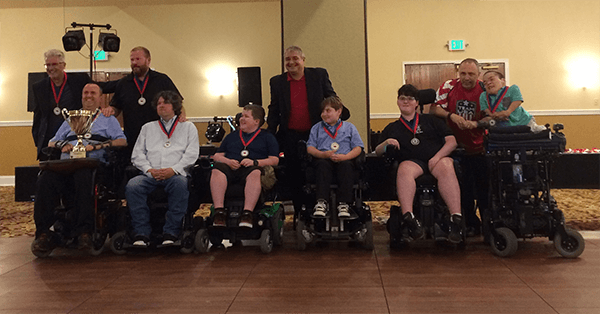 The BORP Crushers and Shockers went to Indianapolis from June 16-18 to compete in the US Power Soccer Association MK Battery National Tournament. Both teams were in the Presidents Cup Conference, which is the third of the three conference competing at the tournament. The tournament organizers put the teams in different pools so that they would not play each other until possibly during the finals and I was hoping for a BORP-vs-BORP finish. The Crushers got off to a slow start compared to their usual performance, mostly because several players on the team had had surgeries during the year that affected their ability to practice for most of the season. They came away with a win the first game but it didn’t instill the most confidence. 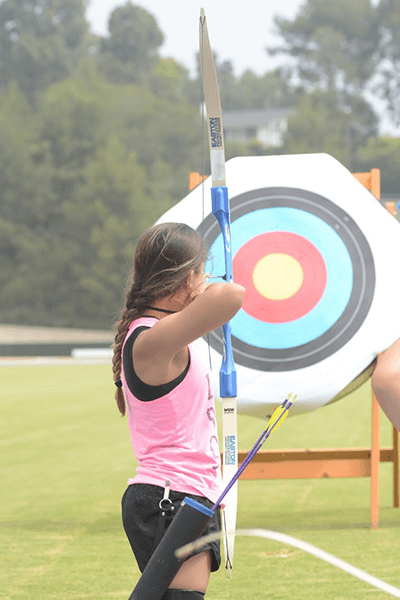 Luckily, as the tournament went on, they improved in their individual and team play while increasing the margin of goals they won by with each game within their pool. The Shockers played hard in each game, playing against teams in their pool that had much more experienced. They also improved with each game and played with tremendous heart, finishing the last game in pool play with a 7-0 win. At the half during the last game we were ahead 2-0 and during halftime, one of the player’s dads came over to me to let me know that there would most likely be a three-way tie in the Shocker’s pool. This meant a tie-breaker of goal differential (or most goals scored throughout the games) would break that tie. So, going into the second-half we started scoring goals two minutes in and ended up winning 7-0, giving us one goal more than the two other teams and put us in third place out of five. Entering the quarter finals I had to decide was which BORP team to coach because the Crushers were playing in one quarter final game and the Shockers were playing in another at the same time. Because the Crushers were ranked higher, I left my trusty assistant coaches, Bill and Travis, to coach them while I coached the Shockers. The Crushers anticipated crushing the Tidewater Piranhas but with ten minutes left to go, they were only up 1-0 and seemed to have a little bit of nerves. The other team scored a goal to tie it up which seemed to motivate the players and they went on to win 6-1. Meanwhile the Shockers were playing the second ranked team from the other pool and were in a tight battle at halftime with the score at 1-1. The team had many opportunities to score but were not able to finish and execute to go ahead. In the second half, the NEP Wildcats had a few breakaways, making several goals to bring the score to 4-1. BORP scored a last-minute goal to make the score 4-2. Even though we lost, the team felt good about their effort but it ruined the chance of having a BORP-BORP final. The Shockers won their next two games in heated battles and back and forth play, eventually beating the Tidewater Piranhas 4-2. The tide went out on the Piranhas playing the BORP teams and the Shockers finished in 5th place out of ten teams. The Crushers went on to easily win their semi-final game and faced the NEP Wildcats who beat the Shockers in the final, so they were out to take BORP revenge. BORP went up 2-1 at half-time and felt good about how they were playing and eventually went on to win 4-1 with great execution on set plays by Jake Bath, who scored directly from a corner kick. And Josh Burger received a corner kick pass from Calum Cain, putting it right past the goalie in the corner of the goal. Both teams competed hard and were extremely excited about the results. Ian Kinmont from the Shockers and Calum Cain from the Crushers were selected for the Presidents Cup all-tournament team. Because they finished first, the Crushers will now move up to the Champions Cup Conference and hope to repeat their success next year. The Shockers, gained valuable experience this year and will hopefully be able to compete for that first place trophy next year to follow in the Crushers footsteps. Many thanks to all the sponsors and donors who supported us on our journey, especially the Challenged Athletes Foundation who supported several of the players with grants and everyone who supported and came out to the Poker Slam back in February. And big thanks to all the family and support staff for making the trip fun, exciting and memorable for all. Congratulations to all the Power Soccer players, coaches and staff! And thank you to the families and friends who made the trip to cheer on BORP!